I use only carefully selected accommodation. 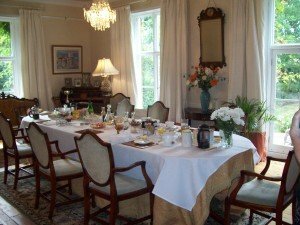 Whether they are farmhouse bed and breakfasts, cottages or hotels, they are all visited by my wife and I to ensure they are up to Norfolk Tours standards. I can offer B&B accommodation in tiny villages, overlooking farmland, in C17th cottages, in a town centre or in the middle of a city. It is totally up to you. I can also offer Norfolk holiday cottages, five-star hotels, half-board or fully inclusive vacations. I can also offer a private stay in a real Stately Home, as the guests of the owners. During our Norfolk Tours days out, I will take you to some of my own favourite pubs, cafes and eating establishments and you will be pleasantly surprised at the local produce available. You will also have the opportunity to try other local dishes, including probably the best cheese scones in Norfolk, (apart from my wife’s own scones of course! ), Pork Cheese or Brawn, Norfolk Dumplings and you really can’t come to Norfolk without trying a Cromer Crab and some Samphire when in season. One party of guests at one of our favourite farm-house B&B, enjoyed a full four-course meal which had, in total, about five food miles! The meal included locally caught fish, pheasant from the farm, fruit from the hedgerows, vegetables from the village and even the ice-cream was made at a neighbouring farm! Your vacation with Norfolk-Tours offers excellent value for money. If you’re visiting from abroad, car hire and insurance can be over £300 per week and fuel costs the equivalent of US$10 a gallon and rising! Add to that the problems of driving on the left hand side of the road, roundabouts, navigating along our very narrow roads, finding where to go and arranging accommodation it makes sense to let me organise everything for you so all you need to do is relax and enjoy the experience. As each of my Norfolk Tours is unique, tailor-made to your own requirements, it isn’t possible to quote a general price. I will provide you with a quote, making sure you get exactly what you want from your ideal vacation. To help you plan your trip, take a look at some of the services I offer. Or simply contact me outlining your idea of a perfect holiday and I will be happy to send you a free, no obligation quote based on your wish-list. Please note: some visitor attractions are closed from November to March and Sandringham House is also closed to visitors when the Royal Family is in residence.